BBC broadcaster Paul Gambaccini has been arrested on suspicion of historical sexual offences as part of Scotland Yard's Operation Yewtree. Mr Gambaccini, 64, was held at his home in south London early on Tuesday and questioned in police custody, before being released on bail until January. A spokesman for Mr Gambaccini said he denied the allegations. 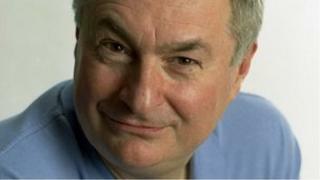 The BBC said Mr Gambaccini would not be presenting his Saturday Radio 2 show for the "coming weeks". "Paul Gambaccini has decided that, in light of today's media attention, he would rather not be on-air at present and we respect that decision," a corporation spokesman said. "Therefore, Paul will not be presenting on BBC Radio in coming weeks and replacement programmes for the period will be announced soon." New York-born Mr Gambaccini, who has a string of TV and radio shows and books to his name, presents music hits and classics from the US on his show. He was due to present a 30-minute documentary for Radio 4 about the music world's reaction to the assassination of President John F Kennedy, to coincide with the 50th anniversary of his death. Mr Gambaccini's spokesman said: "Mr Gambaccini was interviewed by Operation Yewtree officers about historic allegations. He answered their questions and was co-operative. He denied all allegations." Mr Gambaccini is the 15th person to be held under Operation Yewtree, launched in the wake of the Jimmy Savile scandal. A 16th person, aged 74, who has not been named, was also arrested at a separate address in south London on Tuesday, and bailed until January. Operation Yewtree has been investigating historical sexual offences since claims of abuse were made against former BBC radio DJ and television presenter Savile, following his death at the age of 84 in 2011. Mr Gambaccini was arrested under the strand of the inquiry known as "others", meaning the arrest is not connected to the investigation into Savile. The other two strands of Yewtree concern the actions of Savile, and allegations against "Savile and others".